Good evening friends! Thanks for stopping by today and reading this months favorites! I feel like March was a bit of a blur. 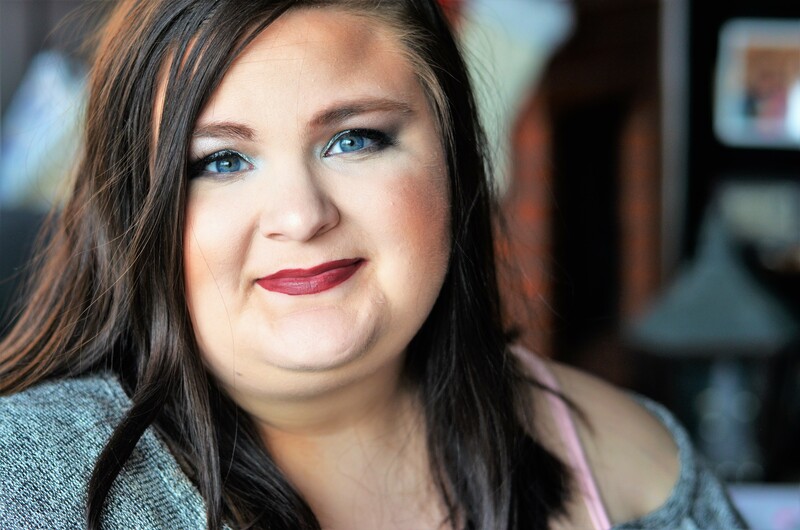 I didn’t try many new products or change up my routine at all. I found it difficult to find this months favorites but I was able to find a few thing I loved this month. I am extremely excited for April already, I started off with an Ulta haul so that must mean April is going to be filled with good things, right? Enough chit-chat, lets head onto my March Favorites! *also, please forgive me for the harsh lighting! I had to do what I had to do to get this published! To be honest, I cannot even remember if I have ever mentioned this hand cream before but I love really been loving it lately. I have both the travel size and the full size because I am just obsessed with it. I really appreciate the pleasant smell but mainly because it isn’t overly strong. 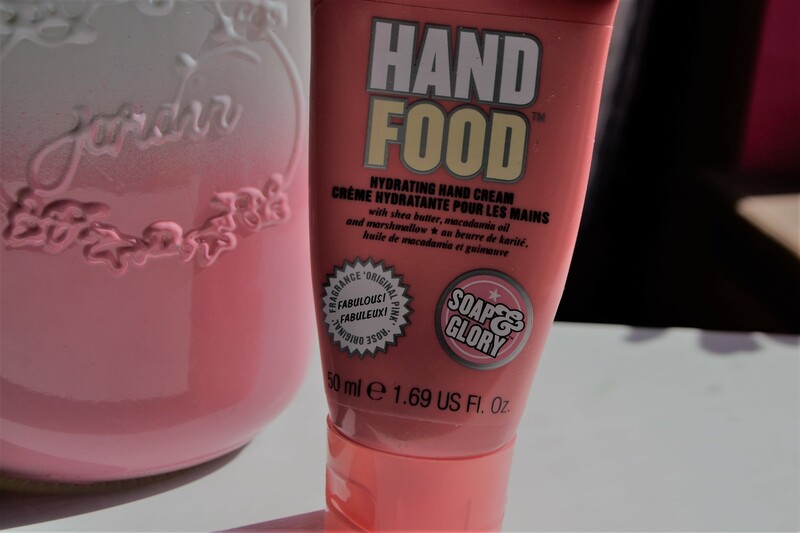 Hand Food has some of my favorite key smells in it such as: bergamot, jasmine, peach, and macadamia oil. They say this is a non-greasy formula and I definitely agree! I love applying this right before I head to sleep. When I switched to Iphone 6s, I picked up this super affordable case from my local Walmart because I needed something to protect it! For just under $10, this case is perfection! 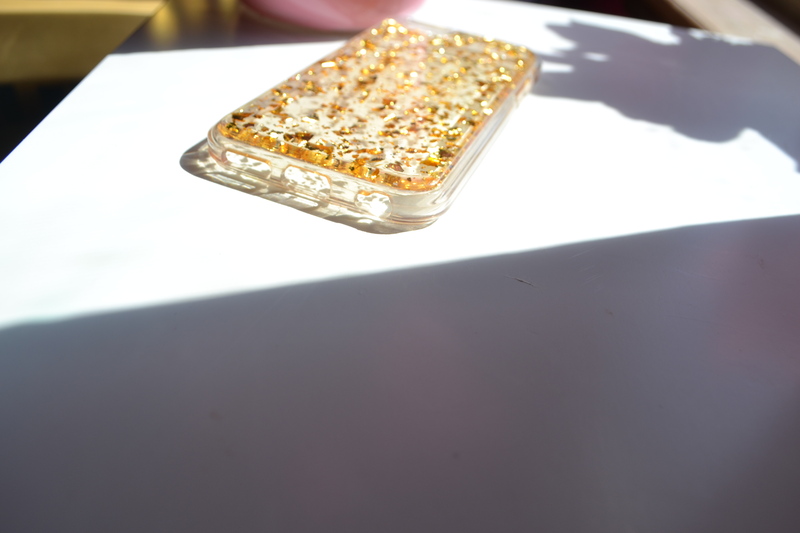 It is very durable and think so I feel like it really protects my phone. 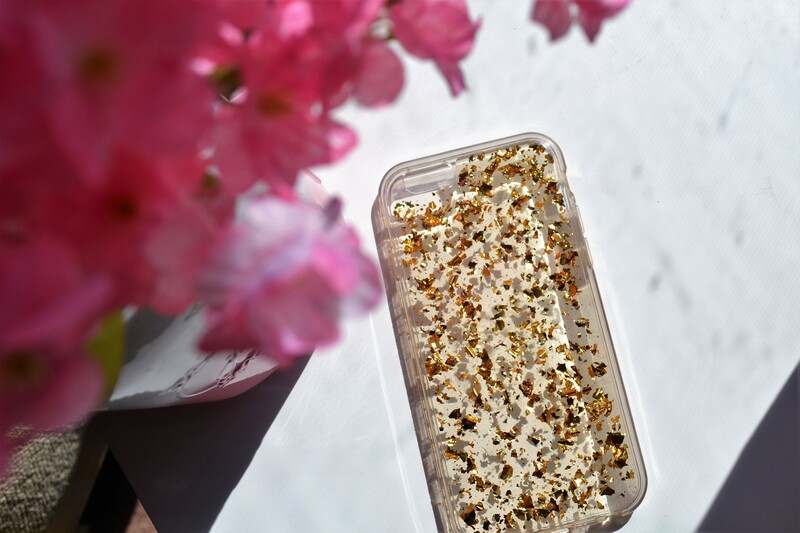 It is a clear case with big gold flecks throughout the whole back of the case. They had numerous variations to this phone case so go look for one! 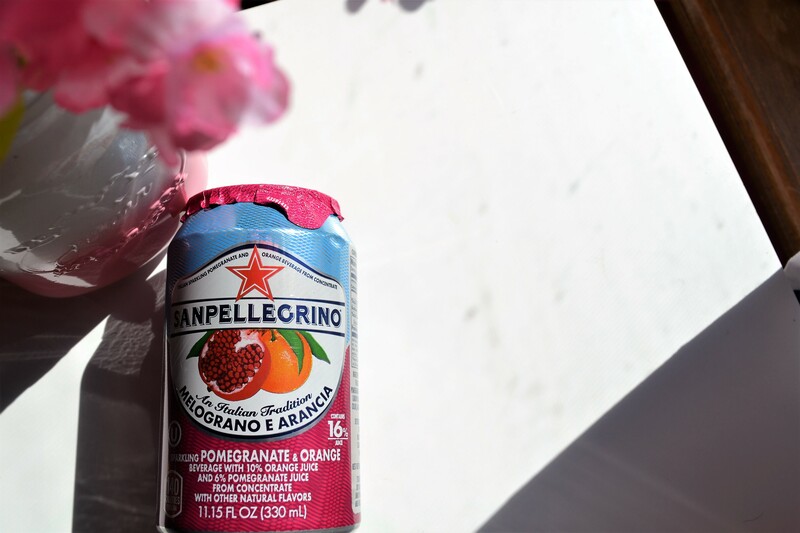 If you have been with me for a while here on W&W, you probably know my love affair with San Pellegrino. The only sad thing is that my local stores only usually sell the blood orange flavor. Well lucky me!! I finally found a grocery store that sells multiple flavors!! Right now I am LOVING the pomegranate and orange flavor. It is by far, my favorite. I love the crisp taste of this drink! It is perfect for spring and summer. Needless to say, I need to stock up on this. I received this trio of products complimentary for testing purposes from Influenster. If you haven’t read my unboxing of this trio, read it HERE. So far, I am really enjoying this trio! I have noticed it does dry me out pretty good…almost too good. But if I just don’t use it every day, it works perfectly! This is all I have used this month because I love it so much. There is a great minty smell to it that always makes me feel clean. The cleanser REALLY suds up…use a very, very small amount. But other than that, this is a great trio or products if you suffer from oily skin. I am a big fan of any kind of charcoal masks. This one from Freeman is a great and affordable option for anyone on a budget. This is a 10 minute mud mask to remove impurities and renew skin. 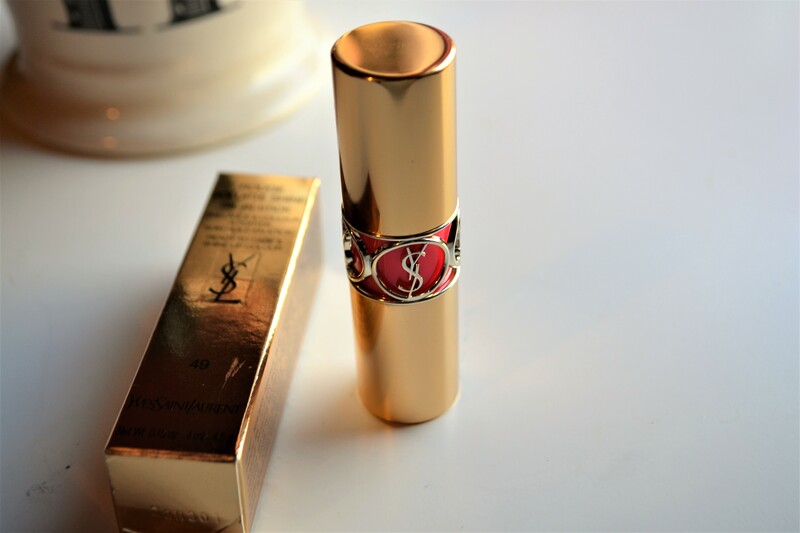 I love the consistency and it is always cold when you apply, which I love. The mask is smooth and is easy to remove as well. I hate when a mask is too gritty and dries so hard that is hard to remove–but this is not that! I loooove the smell of Hand Food! It’s such a great scent! 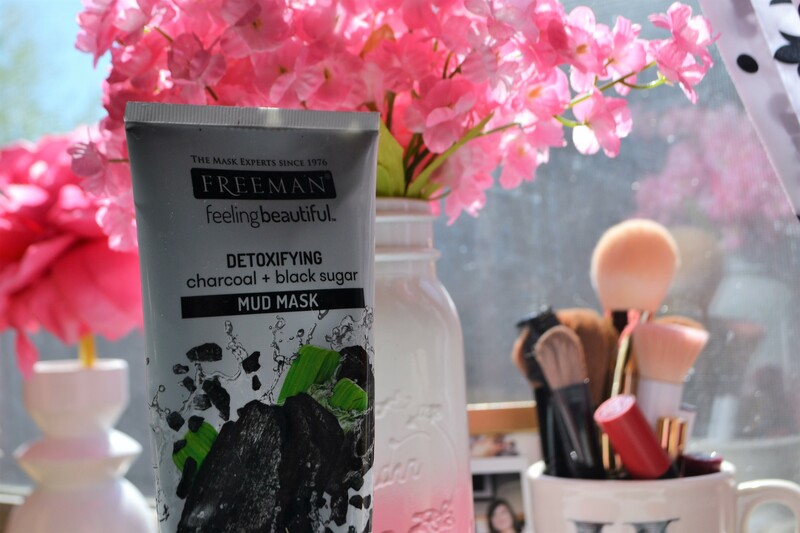 I use the same charcoal mask and I love it! 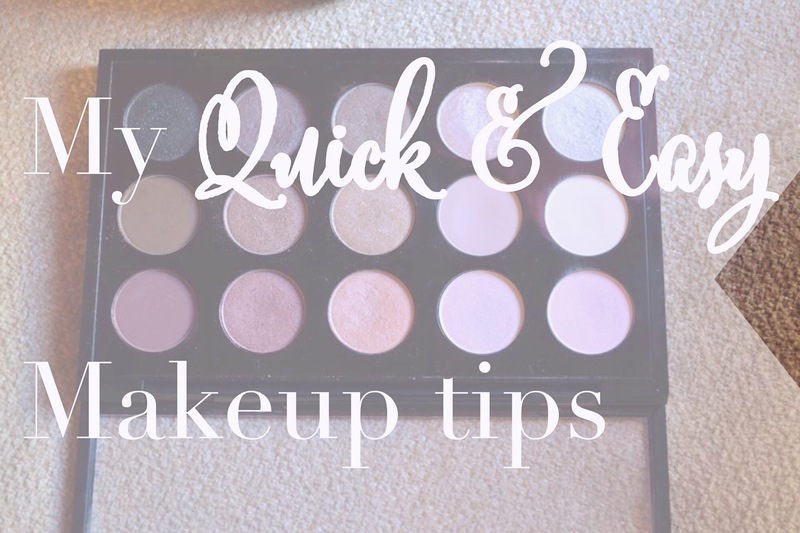 I’ve wanted to try some Soap and Glory products for a while now! Your post may be just the push I need! 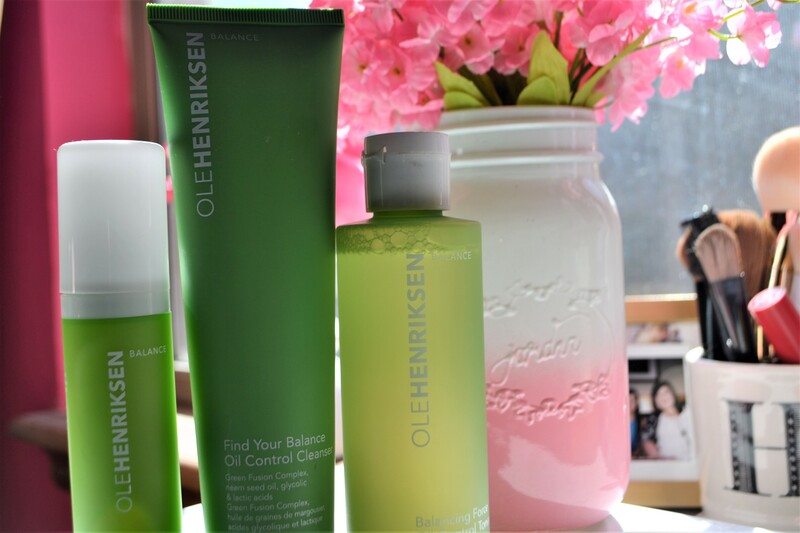 Your photos look so gorgeous that it makes me want to try all of these products right now. I think I need to try Hand Food! Love Soap and Glory! I have one of their bath washes right now! Love Hand Food. It smells amazing.